Same route as previous visitors up the fire break. Easy going today due to dry conditions. Fine views from the top. Nice walk up through fire path, lovely views. Parking at track shown on explorer map 008039. As with others ascend past switchback and take signed firebreak on right. Steep, slippery haul through snow, help from collie. 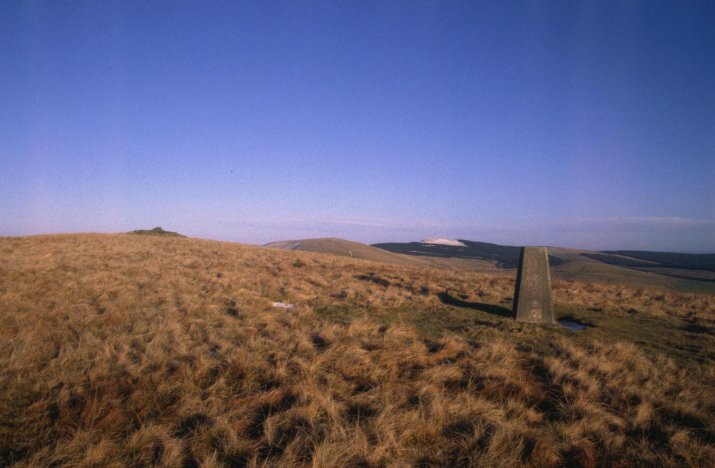 Trig short distance after leaving wood. Returned by heading NW to deer fence and steep descent to first shown track turn from start. Easy apart from horrible boggy section at 010037. Whilst studying the map I decided to forgo the trackway which seemed to meander through woodland, and take a more direct route. This meant walking up alongside, and to the right, of the woodland boundary just within a high deer fence. Although a bit of a slog through tufty grass and snow, this route served me well, for there were splendid views to the south and west. And got to see a small herd of fallow deer close by. 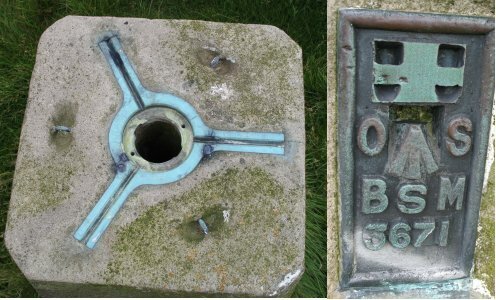 Pillar has open cap, and one sight-hole open. Followed track till we came to firebreak, then continued on, there's a narrower firebreak further round. 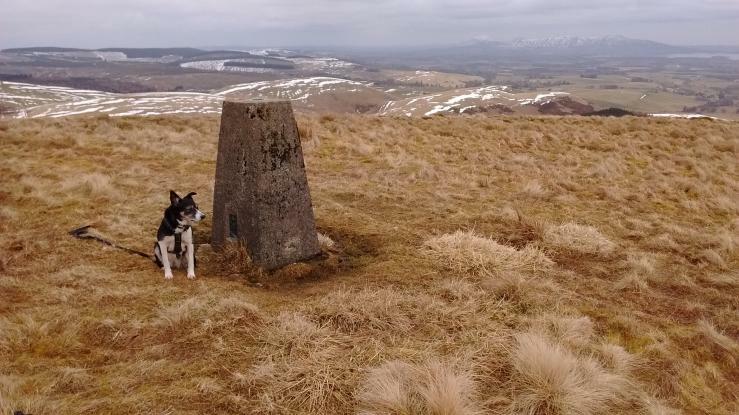 Went up here, hard going in sometimes knee deep snow. 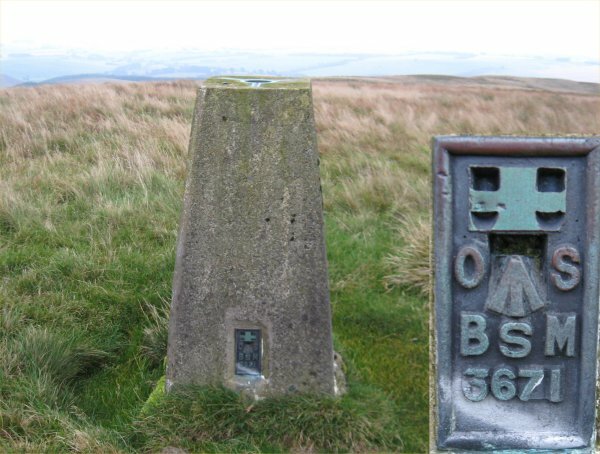 Turned left at crossroads going towards a marker post. 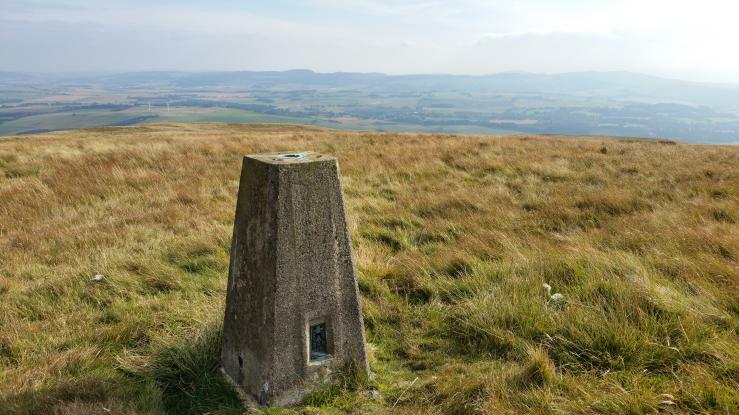 Over fence and up to summit, trig a few hundred yards beyond. No views due to mist. Just near enough as the same comment as the previous logger ,however came down the same way was better if you keep close into the trees. fantastic all round views from here and we too were subjected to the slimy fire break like walking on ice beware!!! Went down by another break but still bad underfoot. 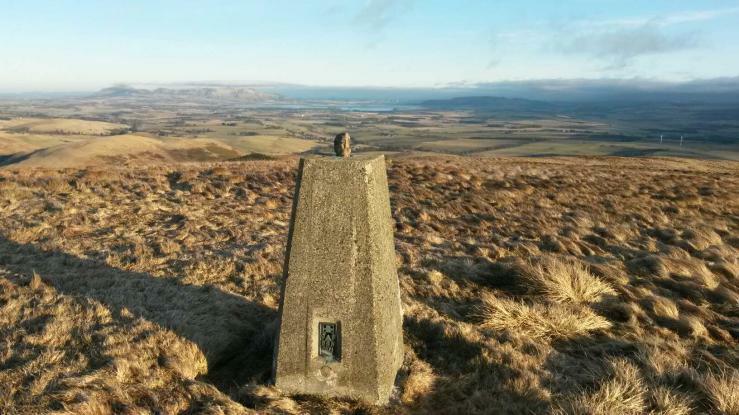 A nice easy walk for an autumn day and once clear of the trees some fine views over towards Loch Leven and Fife Lomonds in the sunshine. Easy track then well marked but slimy break. A lot of Orange Slime mould around. Wierd stuff had to look it up on my return. vgc, no cap or plug. Quick single to round off the day - an appropriate metaphor as The Angry Corrie reports a cricket game using trig as wicket! 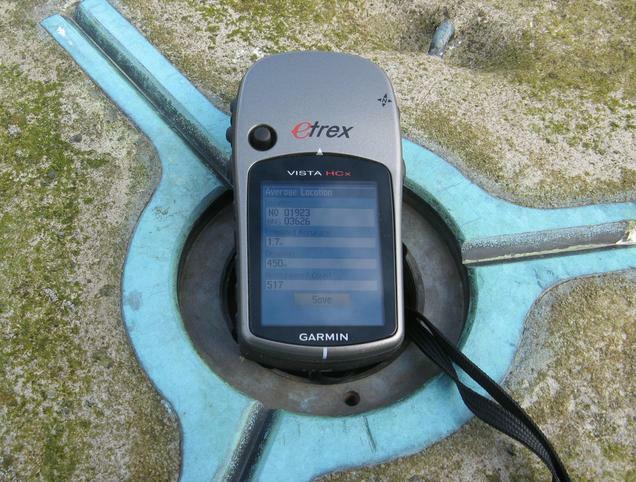 http://bubl.ac.uk/org/tacit/tac/tac65/tac65omyh246r.htm From W, car park, exited forest at first bend, headed up outside of fence then to trig. Found main track which I followed down but preferred my upward route - drier and more scenic. Pleasant hill that was very similar in character to Innerdouny. 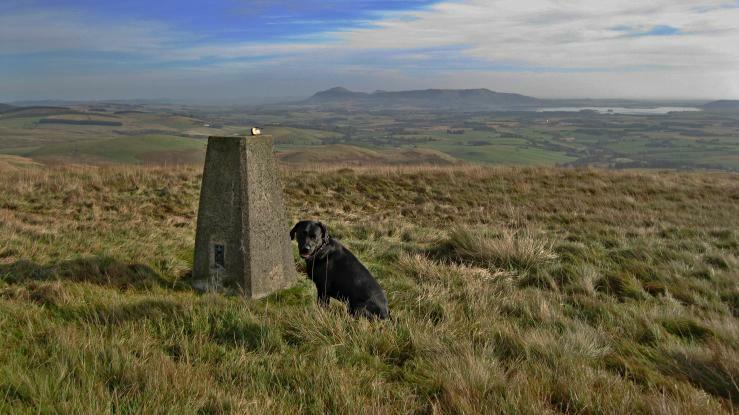 Excellent views to Lomond Hills, Loch Leven, Pentlands and Knockhill. Ben Cleuch was hiding in the cloud. Second visit. For photographs and GPS reading. SITE VISIT: Open grazing top. Pillar in good condition. Spider centre open, OS cap stolen since 18/08/1993. Flush bracket faces 295� WNW. Vented through NE sight hole. 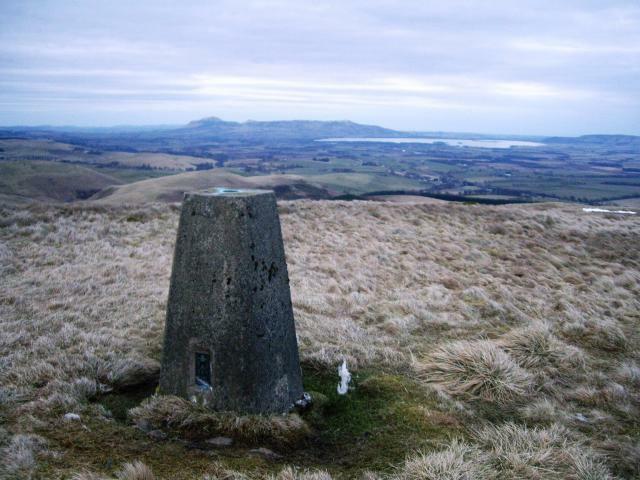 Views include West Lomond, East Lomond, Benarty Hill, Dumglow, Knock Hill, Ben Vorlich (Coire Garbh), Innerdouny Hill. 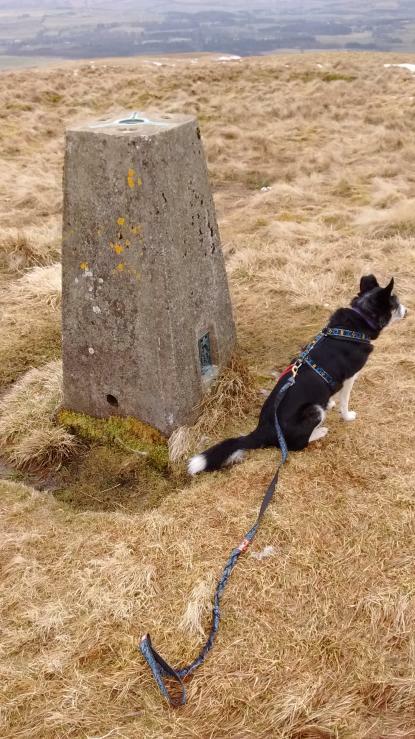 TP lies about 70m from summit and slightly lower. Howling gale on top. Lendrick Hill TP with FB of BSM type. 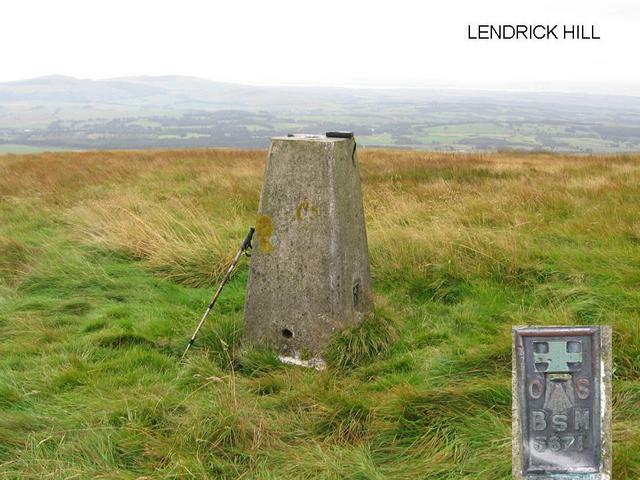 Lendrick Hill Location and missing OS cap. 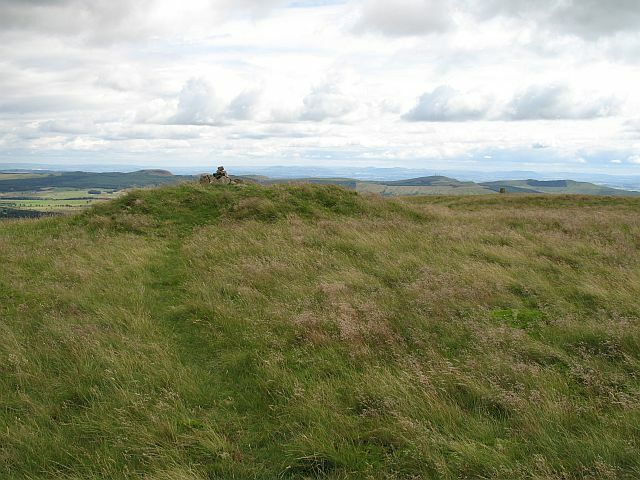 Clear way-marked path up fire-break and across open hill. 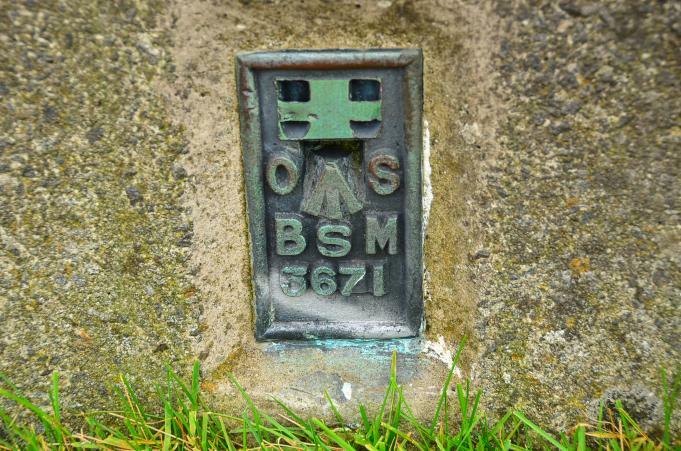 BSM plate - plug missing. Up from the north this time along a good easy ride. 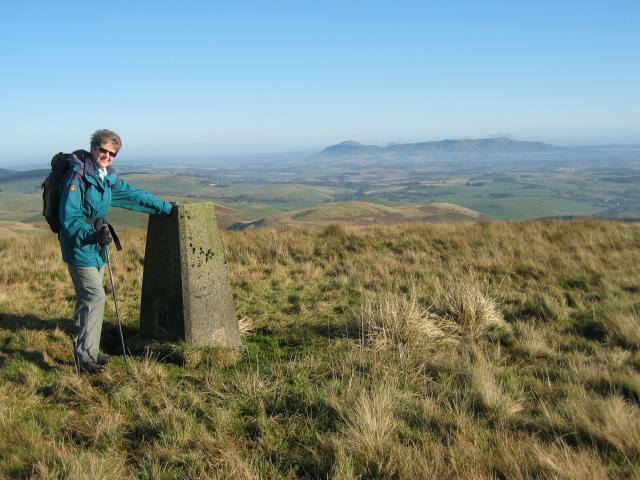 The easy way to get to the trig is use the forest track and watch for the fire break that leads to the summit. Don�t use the direction on the board at parking place. 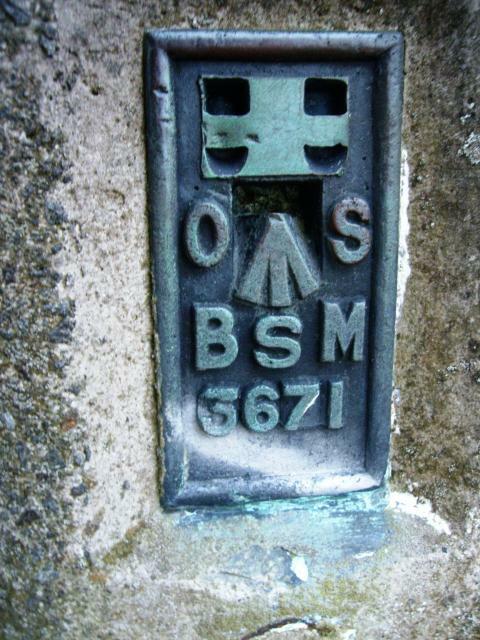 Lendrick Hill pillar and flush bracket. Parked on road side and made direct ascent on dry clear day. First visit. To record FB number. 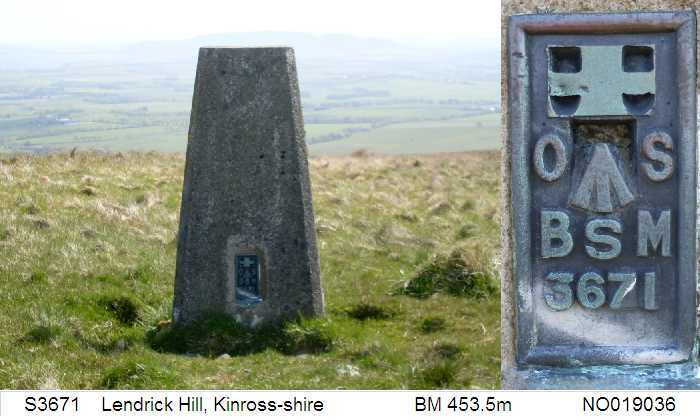 The pillar was completed 11th April 1946 costing �25.18s.9d. 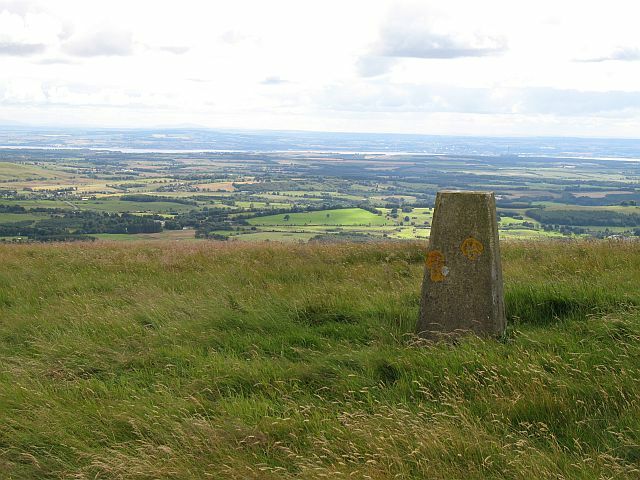 This was two years after the bulk of the NT18 trigs were built. 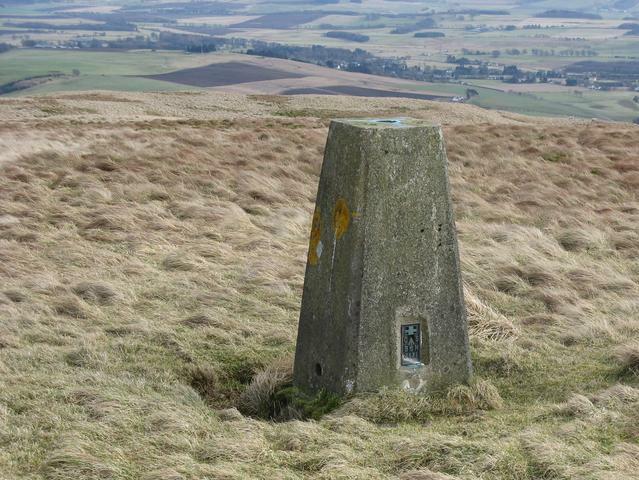 Later in 1946 this marker was computed for triangulation as secondary station NT18/13 in the Dunfermline block. 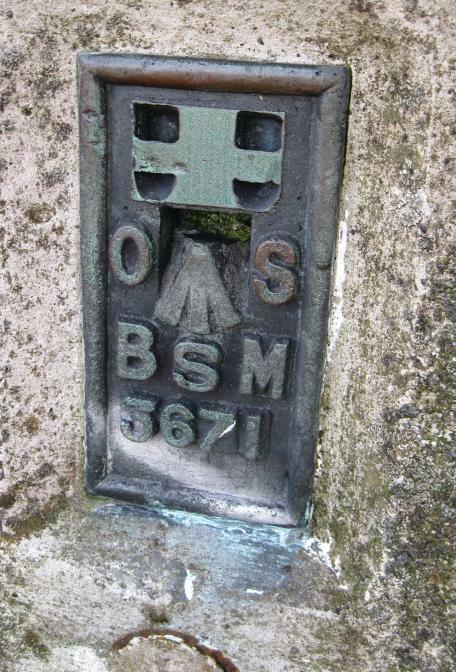 Flush bracket S3671 was levelled to Class 2 precision in 1951. 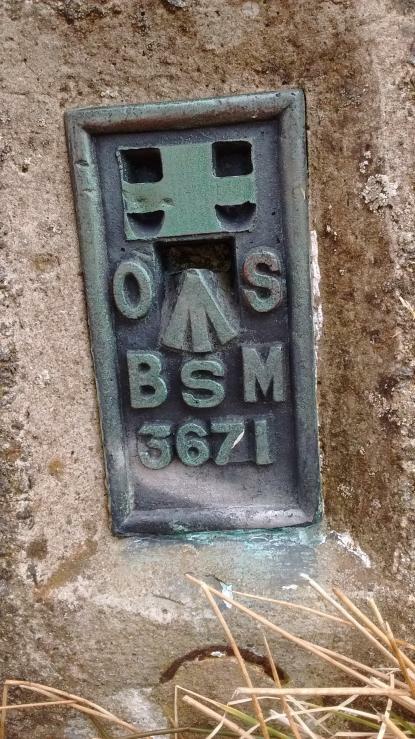 This trig point was last maintained by the OS in August 1982. 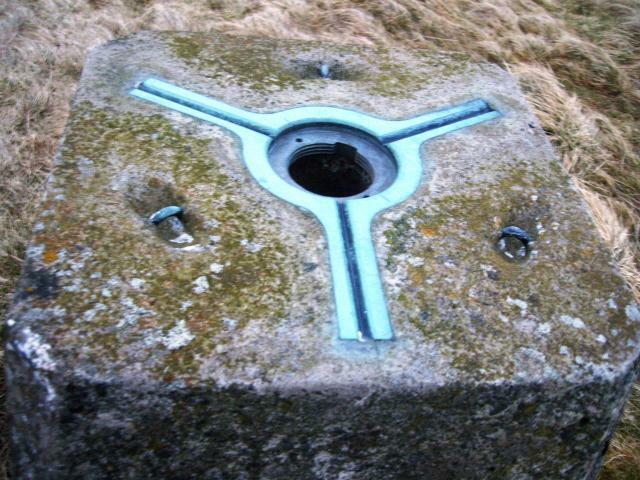 Spider centre retained original OS plug. 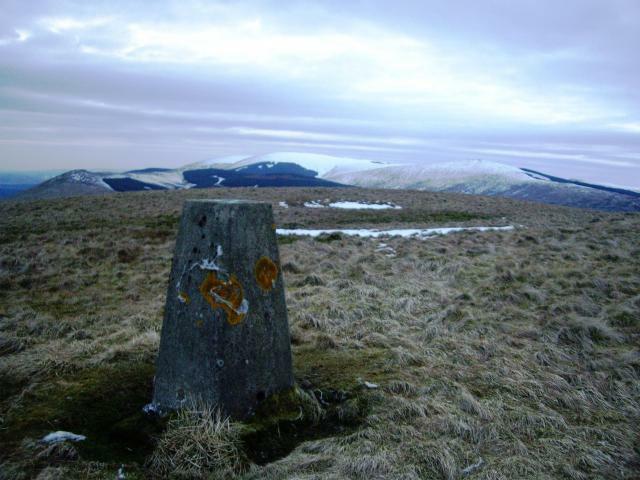 Pillar southeast from the summit of the hill. 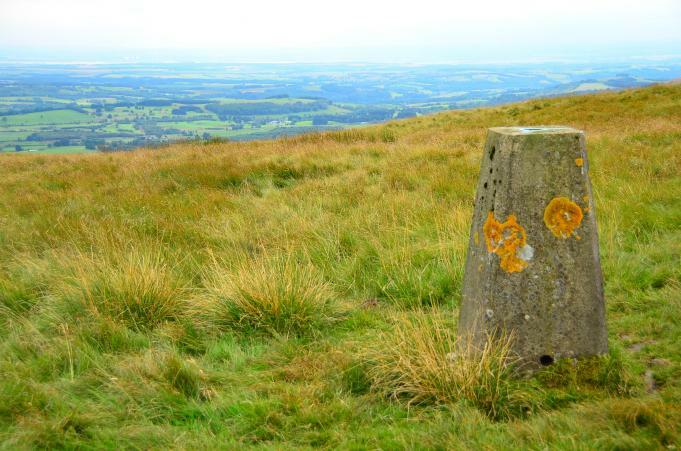 Would not have been used to observe trigs north of here, they are in a different secondary block.